So it's been a while since our last contest, and people are bugging me to do another one. So here it is! There seems to be a bit of popularity around building treehouses right now, so let's do one of those! The rules are simple. Your treehouse must be built in our Creative realm. You may get help from other players, but if you win, the prize will only be given to the person who submitted the entry, it is up to them to distribute the prize if they want to. The contest will end in a months time. If your calendar says October, you are too late. The entries will be judged in 4 categories, and you may enter multiple times for each category. Contest Winners Summer Beach Home Contest WINNERS! Well! That was a pretty interesting contest. A lot of different kinds of entries, so thanks so much for taking part!! I won't go on too long, in fact that's pretty much it. SO WHO WON!? So, once again thanks for taking part guys! Check in with joshwenke or itismejoey, Im sure they'll be able to help you out with your gems. The contest teleport commands will remain active for a while, so if you missed out on this one and want to take a look around, go for it! New non-building contest will be out in the next couple of weeks. Many of you had problems using our online store to purchase ranks or gems. We are currently dealing with issues with our webstore host, but in the meantime, we've got a temporary store set up for you. You can access it via /donate in-game or store.cobalt-mc.com from the web. Yesterday, Mojang released Minecraft 1.12 to all launchers. This created an issue because we did not have access to allow players to join when their launchers automatically switched to 1.12. We are happy to say that we have added support for 1.12 launchers to join Cobalt. As with the 1.9 support update and 1.11 support update, this update simply allows you to join with 1.12. Any 1.12 features are disabled. Our next contest will have two huge prizes! 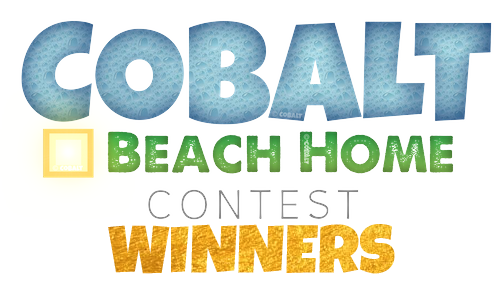 In this contest, you will have the opportunity to design your own "summer beach home" in Creative mode! Be as creative as you like using the resources you have in the realm. In Creative, all you can do is look at the entries, not enjoy them to the fullest extent. That's why the winner of the contest will get their dream home (contest submission) moved from to Creative to our Survival realm! Then they can set up their built home as a real summer getaway home in Survival! Your building must be summer-themed. Decorations and landscaping around the house are preferred. We have created a short survey asking for your thoughts on the future of Cobalt! Please take a few minutes to let us know what you think about these questions. Link removed, survey has now closed. Thanks for participating! Hey guys, from now until the 15th of May I will be hosting the Million Dollar competition. Build whatever you want in Survival, and I'll decide a winner. Make sure you build big, and no more than two people per build! The winner gets $1,000,000 in Survival. (500k each if you're with a partner). Also if you are gonna participate, you tell me you're in before the 15th of May. Thanks guys. Winners will be announced on the 17th of May. Third Annual Easter Egg Hunt! Spring has (almost) sprung, and with this new season comes a fun event... an Easter Egg Hunt! From April 2–April 17, collect all 30 Easter Eggs to win a nice gem prize. To collect these eggs, log into our server (IP: play.cobalt-mc.com) and type /hunt once you're online. This will take you straight to our arena, where you must click on all 30 signs in order to win the prize. You'll see them scattered around, don't worry. There is a big rule, though: no sharing locations of the signs with anyone. We have a new detection system in place to track if you are sharing the locations, and if you are found guilty, you'll be banned. I hope to see you hunting! Hurry, you only have two weeks! This weekend, Cobalt is celebrating St. Patrick's Day by offering some free gold ingots to those who feel lucky. All you have to do is feel lucky and use the command /luck. You can use the command on Survival and Skyblock. There's a catch: if you are feeling especially lucky, you may activate a special feature known as LUCK OF THE IRISH. When activated, use /luck as quickly as you can (even if you still have to wait an hour to claim your next ingot). You'll get a random prize, ranging from gold blocks to gems to special items. No one knows exactly how this bonus mode gets activated, but rumors are circulating that green and lucky things may be a factor. These features will be disabled Sunday, March 19 at midnight, so use them now and see how much free stuff you can get! Enjoy. We are going to be temporarily disabling PvP from the network until further notice. PvP has been experiencing a lot of issues, so we're going to do a lot of bug fixing during the downtime. We also are going to be using the dedicated server that PvP was originally running on for testing new features coming soon to Cobalt. We will let you know of any changes in the future.